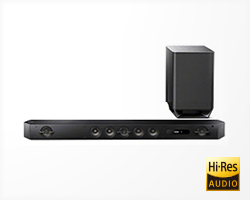 LDAC™ is a new audio technology from Sony that allows you to enjoy high quality wireless audio via Bluetooth. 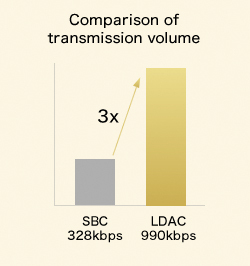 With 3x the data transmitted, LDAC provides an enhanced wireless listening experience for all your music. 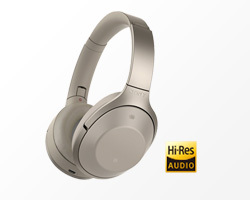 LDAC is an audio coding technology developed by Sony that enables the transmission of High-Resolution (Hi-Res) Audio content, even over a Bluetooth® connection. 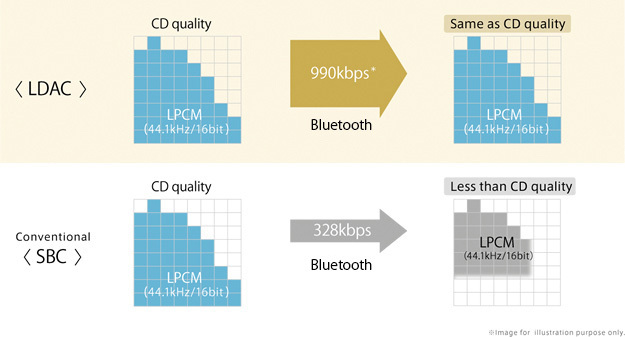 Unlike other Bluetooth compatible coding technologies such as SBC, it operates without any down-conversion of the Hi-Res Audio content*1, and allows approximately three times more data*2 than those other technologies to be transmitted over a Bluetooth wireless network with unprecedented sound quality, by means of efficient coding and optimized packetization. 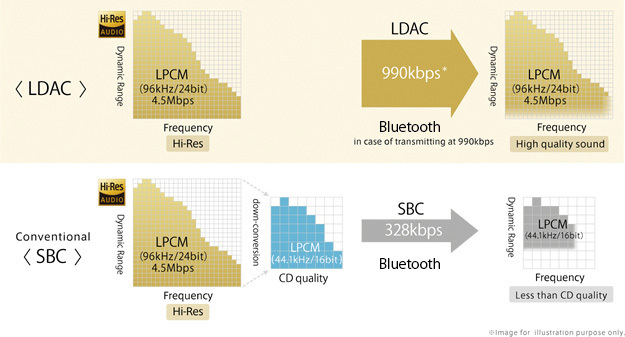 Loss in sound quality during transmission regarding current Bluetooth(SBC). 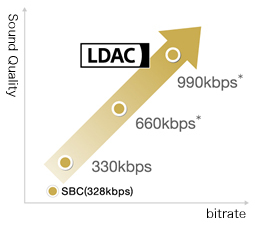 On the other hand, LDAC, the technology from Sony, achieves the sound quality maintenance at the time of transmission by the following points. You may select 3 kinds of transmission rates; Quality priority mode, Normal mode and Connection priority mode. 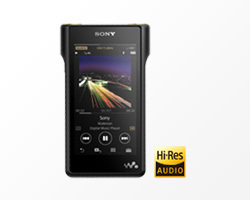 *The settings can be changed to each mode on Walkman. 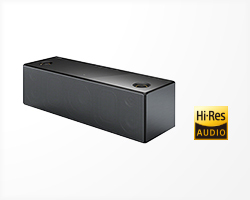 *It achieves the higher sound quality than conventional codec, even in a bad connection environment. 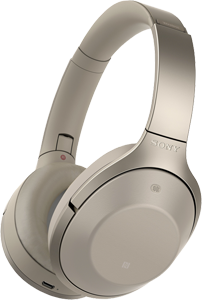 *The Bluetooth® word mark and logos are registered trademarks owned by the Bluetooth SIG, Inc. and any use of such marks by Sony Corporation is under license. Please refrain from using Sony’s response to your inquiry for any other purpose than to solve your concern with regard to the inquiry. 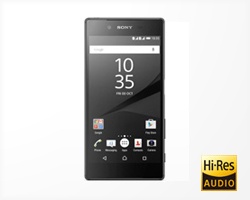 In case Sony’s response by e-mail cannot reach you or Sony deems it appropriate to respond by phone or postal mail, Sony will respond by phone or postal mail. Please input your name, telephone number and postal address into the inquiry form.